NylonThread at Tied to My Apron Strings tagged me for a food meme. Since I just gorged myself on excellent Indian fare, it seems like a good time to fulfill my Internet obligation. Hereâ€™s a chance for a little interactivity for all the bloggers out there. Below is a list of 100 things that I think every good omnivore should have tried at least once in their life. The list includes fine food, strange food, everyday food and even some pretty bad food – but a good omnivore should really try it all. Donâ€™t worry if you havenâ€™t, mind you; neither have I, though Iâ€™ll be sure to work on it. 2) Bold all the items youâ€™ve eaten. This list seems oddly biased toward the South. But whatever. 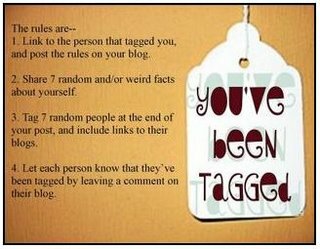 I’m tagging my foody friend Becky at Hallo Leute, Joy at Obsessed with Scrapbooking, both ladies at FH Design and Tiff at Tiny Tyrant. This award was created to be given to bloggers who inspire others with their creativity and their talents, and for contributing to the blogging world in whatever medium. When you receive this award it is considered a â€œspecial honorâ€. Once you have received this award, you are to pass it on to 5 others. What a wonderful way to show some love and appreciation to your fellow bloggers! 4) Award-winner and the one who has given the prize have to show the link of â€œArte y Picoâ€ blog, so everyone will know the origin of this award from Arte Y Pico. Each of these people bring sunshine and light to the blog-o-sphere. Honestly. Some are child-free, some are crafty (which I don’t do, but I appreciate other people doing), some are photo-centric, some I know IRL – but all of them are nice, nice. They are not mean girls. They make the world a better place, post by post. So, to you five – you know the rules. And to Sher – thank you. My aged-beyond-my-years heart is bursting with pride.